With how crazy everything has been recently the OH and I decided that we needed some time to chillax. Last year I heard about the Luna Cinema. It’s basically a glorious outdoor cinema held in multiple locations across the country, showing new and classic films… Perfect! 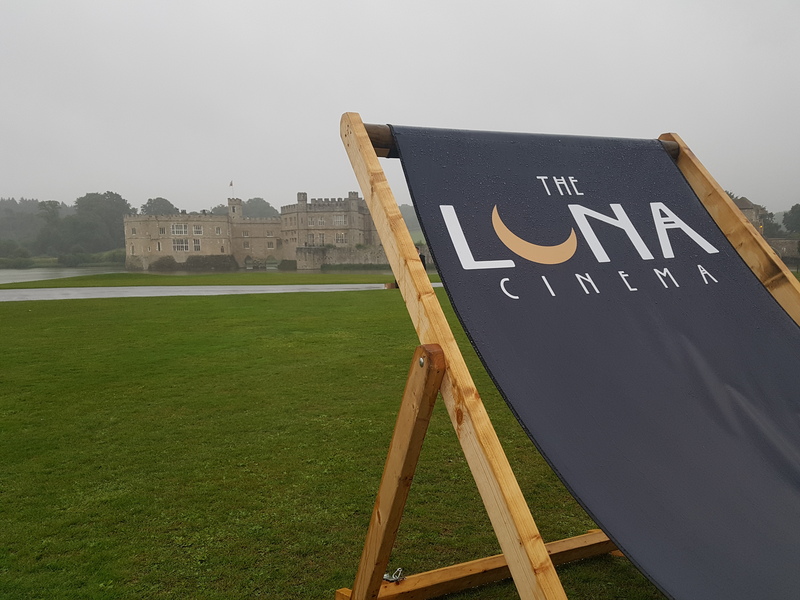 We found a showing of Pretty Woman (Classic 90s film) at Leeds Castle, Maidstone in Kent. Although this was a little drive for us we thought with the setting (and film choice) it would be perfect. Norman stronghold and the property of six of England’s medieval queens. Henry VIII frequently visited Leeds Castle with Catherine of Aragon. It’s also been a Jacobean Country House, Georgian Mansion and the ultimate 20th Century retreat for the influential and famous. I think you’d agree that we picked quite the venue for our cinematic experience! We did hit one small snag… it rained! Think waterproof and multiple poncho kind of rain. The beauty of the Great British Summer and being outdoors means that the events pretty much always go ahead, so we sat down on our camping chairs with our popcorn and poncho to watch the film. You’ll have to excuse the pictures, due to the weather I didn’t get my usual selection. That being said we had a fantastic time, and would be sure to go again (even if we would hope for better weather next time)! Make sure you go and check it out, it really is something to add to the ‘To Do’ list.